My guest today is Sanford Coggins, president of VisionWise Capital, a company primarily focused on how investing in commercial real estate (not so overly focused on stocks and bonds) can support your dreams. VisionWise Capital controls $51M of real estate assets since its start-up in 2013. 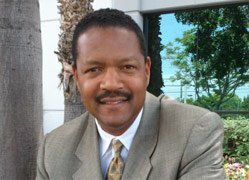 Sanford has a unique background as a Commercial Real Estate Broker/Principal, with 25 years as a Wealth Advisor. He worked for 16 years as Vice President, Wealth Management Advisory at Merrill Lynch, where he managed over $100M in client assets. In addition, Sanford co-developed a three-year $77M pilot project to create financial opportunities for ethnically diverse communities. Sanford earned Merrill Lynch’s Lifetime Achievement Award for leadership and excellence. But most important to me, he was a quarterback at UT (the University of Texas at Austin) on a four-year scholarship. Today I want to chat with Sanford about a couple of things. One has to do with Sanford’s willingness to risk leaving a successful and established career at Merrill Lynch and then moving on to His Next Chapter of Entrepreneurship. And Second, we plan to explore rethinking the way we invest our savings. I may also want to hit on the touchy subject of the state of savings and investments among Baby Boomers. This is my first time to listen to The Next Chapter! As an artist, my primary focus has been on creating rather than planning. Now I am ready to look forward in much larger arenas. I took notes the entire time Sanford was speaking! Thank you both for making it clearly understandable as to what I should do next! I will continue to gather knowledge and interview financial advisors. I truly appreciate this valuable information. It is what I have been putting off. Yet I have known it was time to do something. S. Sanford has been a “God-send” in my life. I’m so glad he helped you think through important issues. Let’s stay in touch!